Adobe Scan, Adobe's document scanning app, was today updated with new features that are designed to make it easier to locate and access scans of receipts, documents, and more. 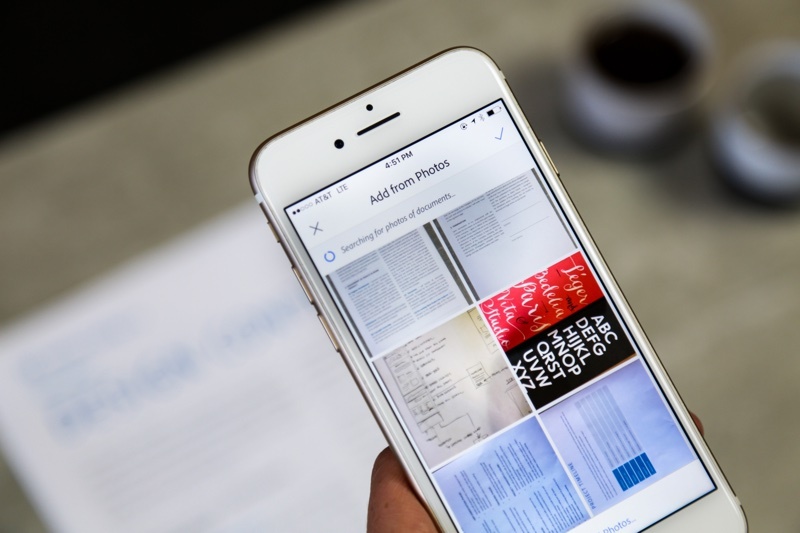 With Adobe Sensei machine learning integration, Adobe Scan is now able to scan the photos in your camera roll to locate all images that appear to be documents, so they can be automatically imported into the Adobe Scan app for storage purposes. The new feature is designed to make it easier to keep track of all of your receipt and document photos, aggregating them in one place so it's no longer necessary to search through all of your photos to find the relevant images. There's no longer a need to sift through hundreds or even thousands of images to find what you're looking for. In fact, Adobe Scan is the only free app that automatically searches for documents, receipts, business cards, and more, so that you can find what you need fast. Along with Adobe Sensei integration, Adobe Scan is being updated with support for the iOS 11 Files app. All Adobe Scan files can be accessed through Files, making document management easier. There are also new search tools to make it easier to find files by name or date, and Adobe has added improved image cleaning specifically designed to better handle shadows and folds for clearer scans. I’m a big fan of Scanner Pro. Anyone have experience with both and can do a comparison? Scanner Pro is definitly the way to go. Adobe Scan does nothing but take a picture and cut it and a little bit ocr. the major downside is: adobe requrires you to sign in and every document will be uploaded to their cloud. you cant turn this off. Same. Would a love a comparison if anyone has used both.